The Musette Mariole has been my everyday work bag for over a year now. I’ve become well acquainted with it over that time. 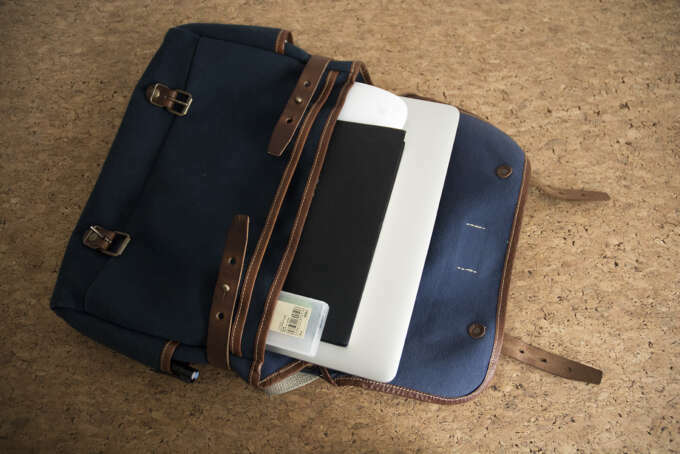 Notably I haven’t looked for another bag in that time—it’s been a monogamous relationship. And like any long-term relationship, there were a few hiccups after the honeymoon ended. The Mariole has an understated styling that doesn’t draw attention. The bag can be described as much by what it does as what it doesn’t do. It doesn’t fuss. It isn’t made out of a high tech material. It doesn’t have a special pocket designed to fit iPhones. 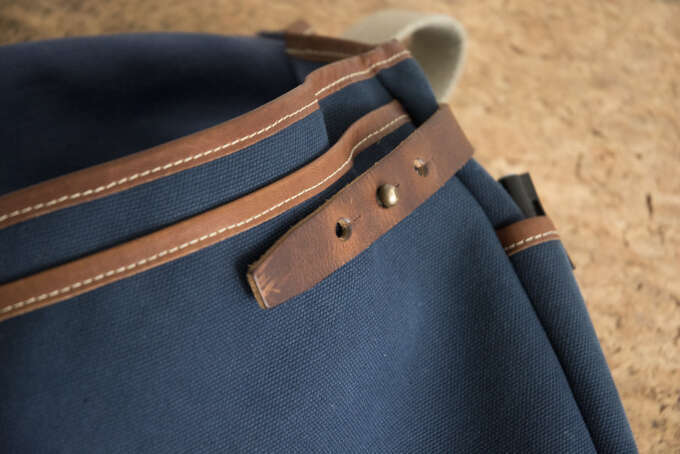 The bag is made up of a navy cotton canvas construction, thick vegetable tanned leather straps, a thinner leather for edge piping, an off-white cotton canvas shoulder strap, and brass hardware. The quality of those materials is excellent. The canvas is sturdy and has a deep, rich colour. The brass hardware is firmly and confidently attached. The leather strapping is thick. Pushing the leather straps over the brass pins is incredibly satisfying. The leather piping is on the thin side of the spectrum, but it’s serviceable. The bag is able to withstand some serious punishment. Its been soaked through on multiple occasions, stretched and stood on, had beer spilled on it, been stuffed into the footwells of airplanes and overhead compartments of buses. Through all this the construction and material have held up brilliantly. In fact the materials arguably look better now and have developed a satisfying patina. However there is one fatal flaw: the leather straps that secure the bag closed. These straps become loose over time and can undo themselves occasionally. As a result the bag now has to be closed with tension in order to prevent it from spontaneously opening. Additionally the straps can totally detach from the bag, and can be misplaced. It’s a miracle I haven’t lost them. 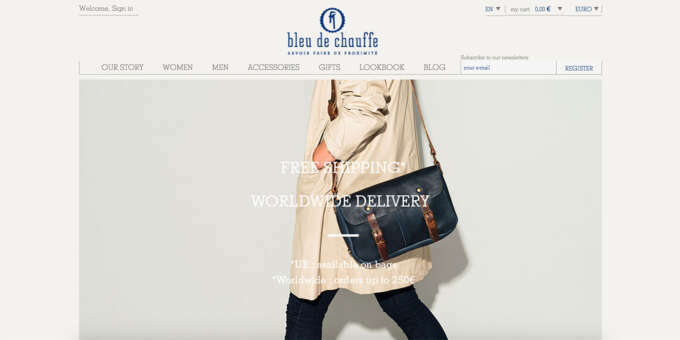 Bleu de Chauffe is, unsurprisingly, a French company. According to their website the name comes from “the blue jacket worn by French engine drivers when boiling water […] in the late 19th and early 20th centuries.” Consequently the company’s styling is underpinned by a 19th century workwear aesthetic. 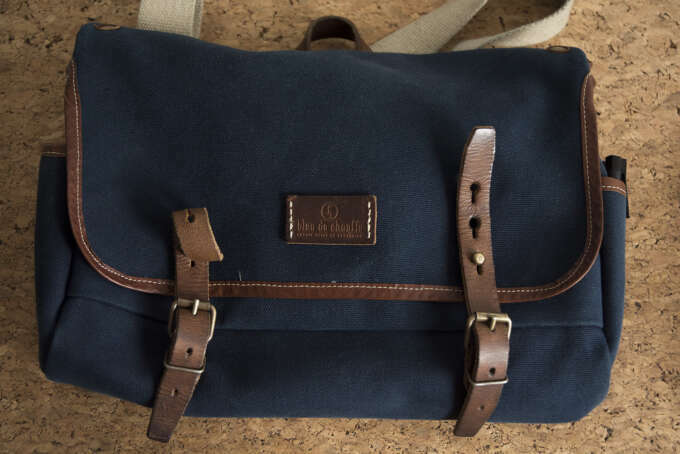 Their bags are manufactured in Aveyron, France, near the Millau viaduct. 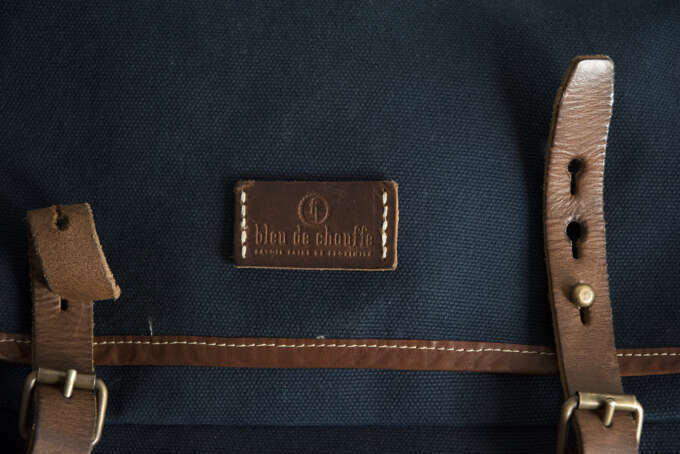 The Mariole has two accents that demonstrate Bleu de Chauffe’s attention to detail. The first is the leather badge sewn on the front that bears the company’s name. 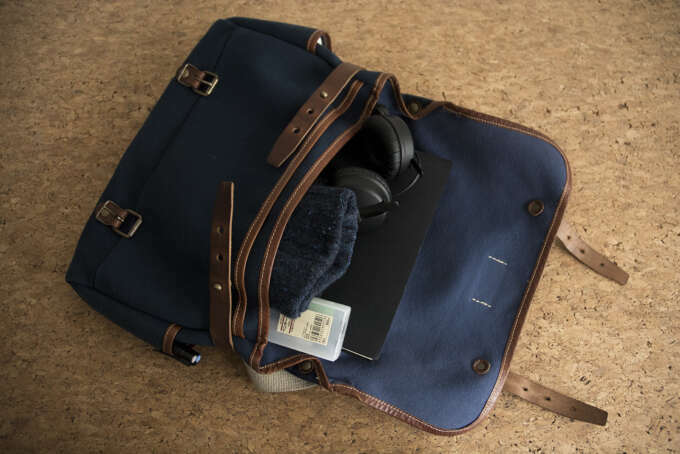 It’s understated, made up of quality material and securely fastened to the front flap. It’s no nonsense and well made. 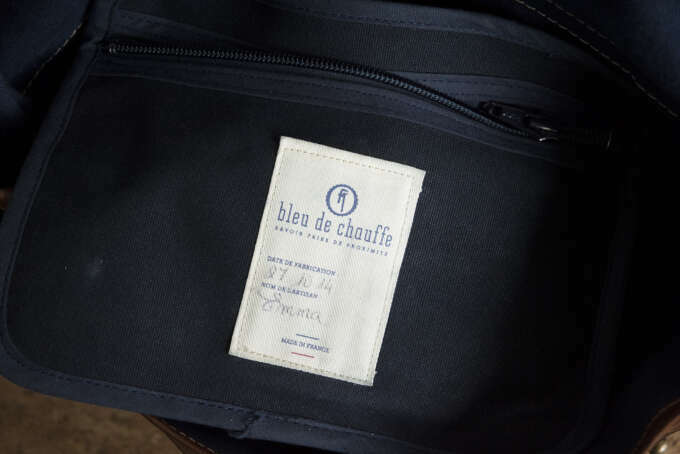 The second detail is the label sewn onto the detachable pouch in the bag’s main compartment. 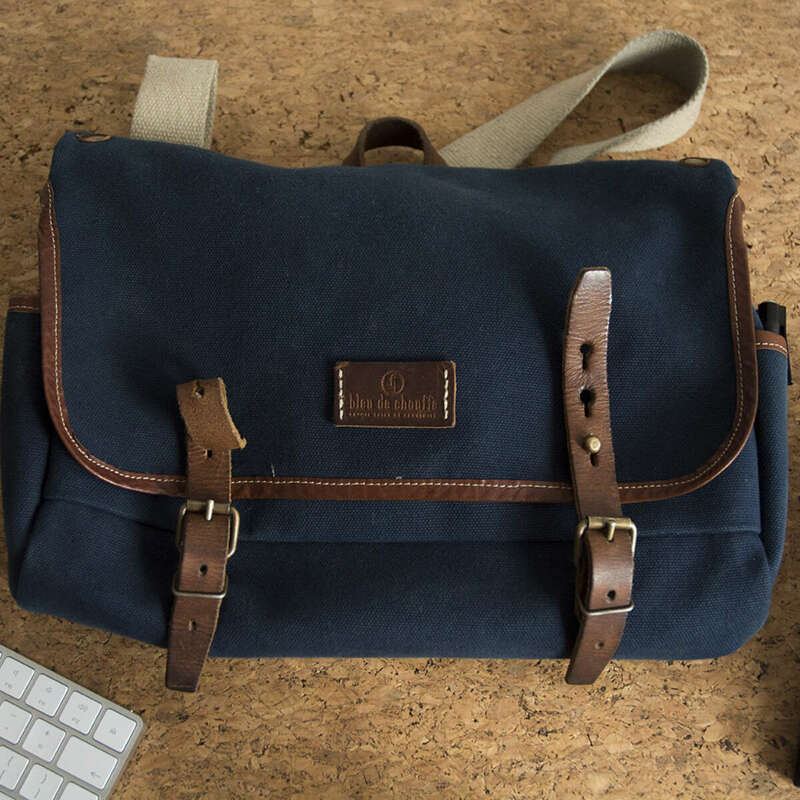 This bears a handwritten record of the date the bag was manufactured and the signature of the person who made it. It’s a fantastic touch. The Mariole is incredibly versatile. It fits in well at the office, but also in meetings with conservative clients (like banks) that I sometimes visit for work. It’s perfect for the weekend when out for the day or just a quick trip to pick up some shopping. 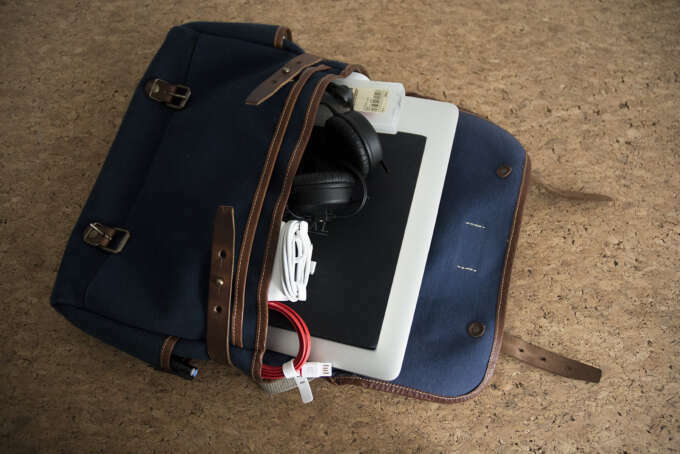 The contents I carry in the bag vary hugely from day to day. 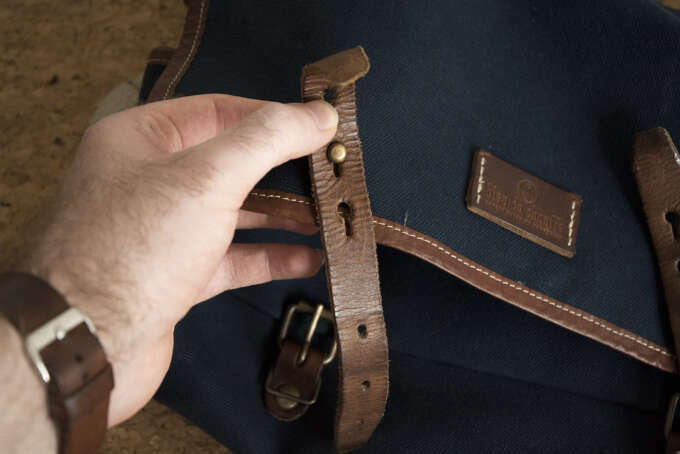 A simple system of leather straps with holes and brass push pins enable the bag to expand or contract to a degree. I like to keep the bag as compact as possible when under lighter loads. The bag simply has an amazing ability to go from small to large capacity, accommodating a wide range of different loads. It can almost always accommodate the things you want to put in it. I have almost never been let down in terms of trying to fit loads in the Mariole. Sometimes it was a tight squeeze though. The Musette Mariole is a well priced, flexible, beautifully constructed bag with one big flaw. 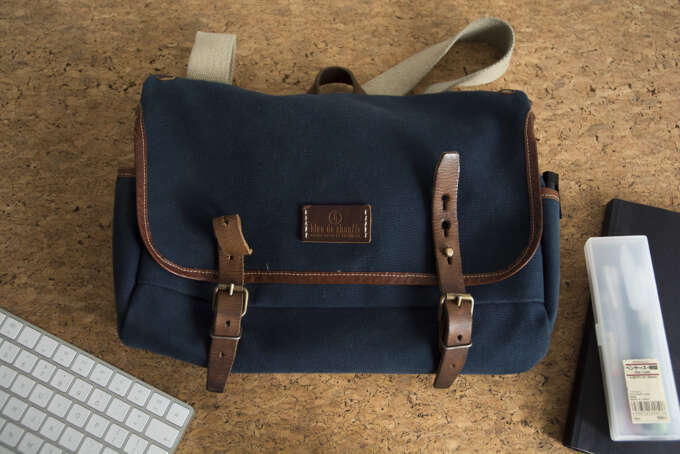 I started this review by saying I haven’t looked at any other everyday bags. But the mishaps with the closing mechanism have sewn seeds of doubt in my mind.